This was a technically complex project requiring in-house design and build functions combined with the requisite rail, process design and M&E capabilities. 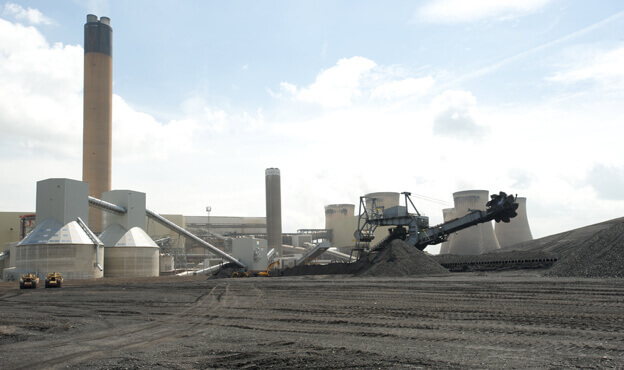 The facility was designed to facilitate the unloading of six 1100t capacity trains per day, and was constructed with minimal disruption to the existing petcoke and coal delivery lines supplying the power station. Full turn-key delivery (civil, structural, mechanical, EC&I).Two bulk storage silos capable of holding 24,000m3 of biomass wood pellets. 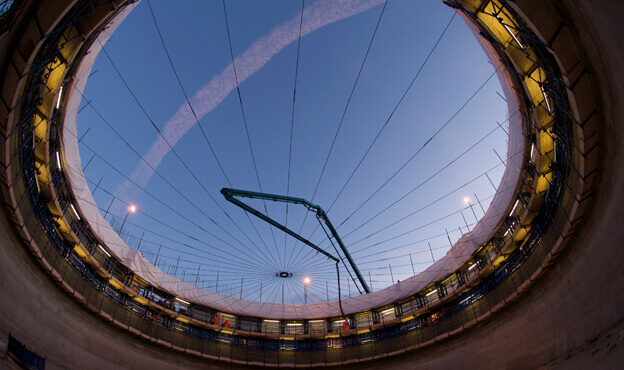 These circular concrete vessels are 30m in diameter and are supported on 300 piles. The non-stop unloading of six 1,200 tonne capacity trains a day within an innovative subterranean facility, housing seven vibrating feeders and two conveyors that can deliver biomass fuel to the silos at a rate of 2,800 tonnes per hour. Close collaboration with the Drax team allowed us to overcome challenges through meticulous project and design management. We developed a continuous unloading system to transfer biomass from moving trains as opposed to the industry standard of unloading trains in a stationary position. 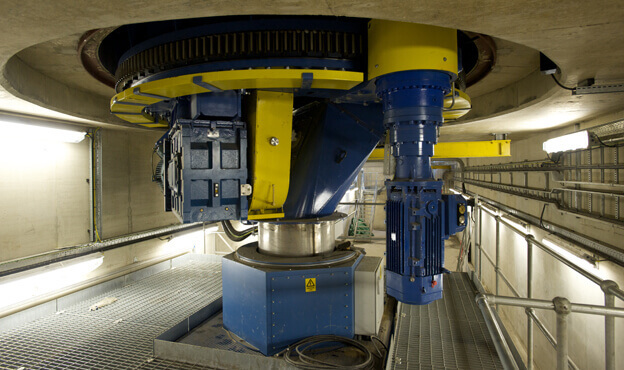 Our value engineering design also proposed a solution to Drax that enabled the discharge of biomass in 30 minutes rather than the stipulated 1 hour. The site presented a vast network of overhead and buried utilities and services, such as HV and LV supplies, fibre optic cables, telecoms and potable water. We developed a site specific system of work within the relevant Method Statements detailing control measures to protect the various services.